The Neandertal project was inspired by the history of Neandertal, who mysteriously disappeared from earth around 30,000 years ago. They are often thought to be wild and animal-like beings, but recent discoveries have proven their highly intelligent life and sophistication. Neandertals painted geometric shapes as cave paintings before humans, used musical instruments and very likely spoke their own language. Neandertal perfume is designed for the contemporary Neandertal. It reflects their life in the past as well as the sophisticated future they never had the chance to see. The two unisex fragrances were created by Scottish perfumer Euan McCall, inspired by an invention of what a Neandertal’s essence might have been today, should they have evolved alongside us. Ingredients such as musk and amber, natural to their environments, are combined with fresher tones compounding into a mixture of sophisticated olfactory palettes wearable by today’s humans. around 30,000 years ago after the arrival of modern humans. 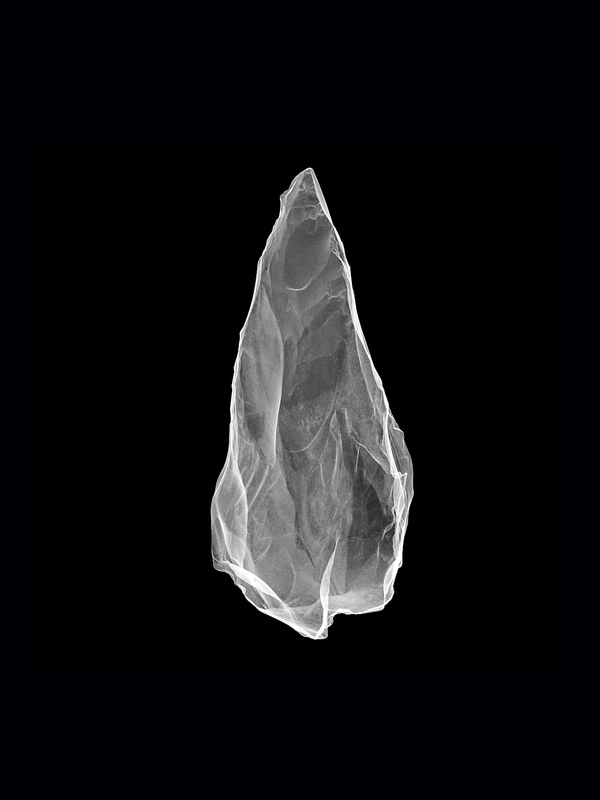 As a way of artistic response to ontological questions and the history of mankind, artist Kentaro Yamada in collaboration with perfumer Euan McCall created Neandertal perfume. Neandertal perfume imagines the life of this mysterious being while raising questions of the past and future of modern humans. The results are contemporary, highly original, and experimental fragrance structures, free from conventional and traditional perfumery standards. One a darker, smokier more animalic interpretation of the concept and the other a brighter facet containing higher levels of light, delicate and fresh materials. The Neandertal stoneware perfume bottle is slip cast from a flint knapped hand-axe then fired and vitrified at over 1400°C. Each bottle is handmade by the artist Kentaro Yamada.